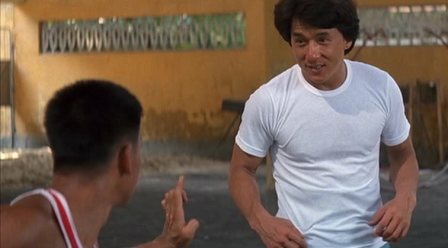 While Jackie Chan attempted to break into the American market in the early Eighties with appearances in two Cannonball Run films and starring roles in The Big Brawl (aka Battlecreek Brawl) and The Protector, he didn’t catch the attention of mainstream U.S. audiences until a full decade later. In 1995, New Line Cinema released Rumble in the Bronx in the United States and the film was a surprise hit. Slightly re-edited and dubbed in English (even the English speakers! ), this Chan actioner was number one at the box office ($9.85 million) during its opening weekend and went on to gross $32.3 million overall. The success of Rumble led to Dimension Films to release Police Story 3: Supercop in the United States, which was a modest box office success, insuring not only more Jackie Chan films in the United States, but catapulting Michelle Yeoh to international acclaim.